Anyone who wants to work as a truck driver in New Jersey must have a Commercial Driver’s License. If the applicant is at least 18 years old, have a valid driver’s license, can pass a vision test and is physically fit, then they can apply for a Class A CDL in New Jersey. The CDL Classes determine which type of commercial vehicle one can drive. Some require special endorsements and documents to obtain. Your first step in obtaining a CDL is to go to the Mother Vehicle Commission (MVC) and get a copy of the CDL driver’s license manual. This manual is essential in passing the written test. There is a $125 fee for the application and the tests. If an applicant passes the written exams, they will receive a temporary learner’s permit. With their newly acquired learner’s permit, they can now start practicing driving trucks while under the supervision of a licensed driver. Getting enough driving experience is important before taking the road test. The road test is divided into a pre-trip inspection, basic driving skills, and actual on-road driving. Applicants must pass all three parts to get a CDL. The MVC will issue CDLs immediately after passing. An applicant who fails any part must start all over again. We are always looking for new CDL schools to add to this listing page. If you know of any training facilities not shown above please use our contact form to let us know. All submissions must include the business name, address and contact details. There are several requirements which one has to comply with in order to acquire a New Jersey commercial driver’s license (CDL). The state and federal governments have made some changes with regards to CDL applications due to the national threats which have been involved recently. The government now seeks to create a safer and more secure method of providing licenses for truck drivers in order to protect the drivers on the road as well as to maintain the safety of the nation as a whole. 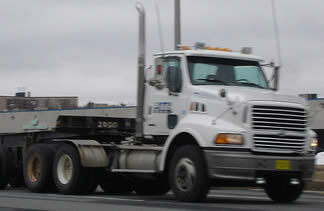 The state of New Jersey requires a license for several types of trucks which are classified as follows: Class A for trucks which have a combined weight of 26,001 pounds or more and with a towed vehicle weighing 10,000 pounds or more; Class B for trucks with gross weight of 26,001 pounds and with a towed vehicle weighing less than 10,000 pounds; and Class C which is for trucks weighing less than 26,001 pounds and which carries hazardous materials or 15 passengers or more. The state requires applicants for a CDL to pass a visual and medical exam which is also required by the federal government. Everyone who wishes to acquire a commercial driver’s license in New Jersey should have a visual acuity of at least 20/40 in order to pass. They also need to pass a DOT physical examination in order to be allowed to take the written exam. 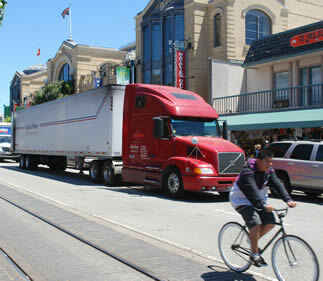 A person should be physically fit or should be able to meet the government’s standards in order to drive a truck. Those who have medical conditions which will affect their driving will be provided with some restrictions on their license. Once you have passed these requirements to the DMV, you will be given a written test which is administered on a walk-in basis. The exam is computerized and will have an on-screen interaction although you do not need computer literacy in order to take it. Results are provided immediately and if you fail, you can only take the test after a few days. You have to answer the questions and not to leave a lot of them blank or you may automatically get a fail grading. If you pass the written test, you will be allowed to take the road test afterwards or you can schedule for a further period. You will have to provide your own truck similar to the type of class that you are applying for. It also has to comply with the insurance and vehicle regulations which are in effect in order for you to use it. It has to be driven by a licensed individual to and from the testing center. The road test involves pre-trip inspection, basic skills, and road skills. You will have to pass all of these areas in order to acquire a New Jersey Truck Driving license. You will also need to self-certify the kind of truck driving that you will perform after you receive your CDL. Your medical certification will also need to be renewed every two years. You can use this page to find truck driving schools in NJ to help you gain the necessary skills to pass the exams if you need help. Schools typically take several weeks to complete and provide knowledge based teaching as well as time practicing behind the wheel of a truck. Below you can find the link to the state’s motor vehicle website as well as information about the license requirements in their CDL manual.